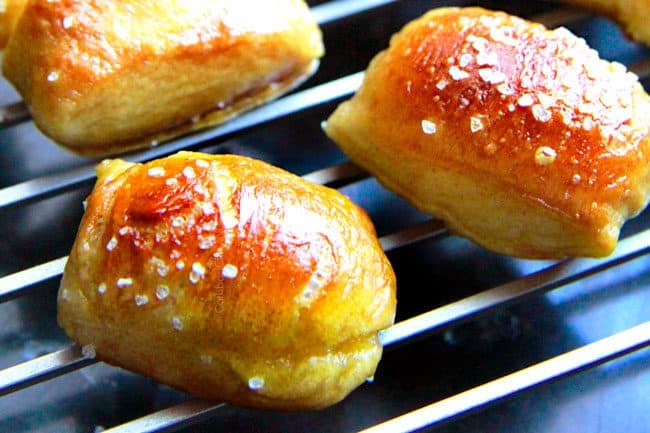 Soft Pretzel Bites are your favorite pretzels in buttery bite size form and way easier to make! 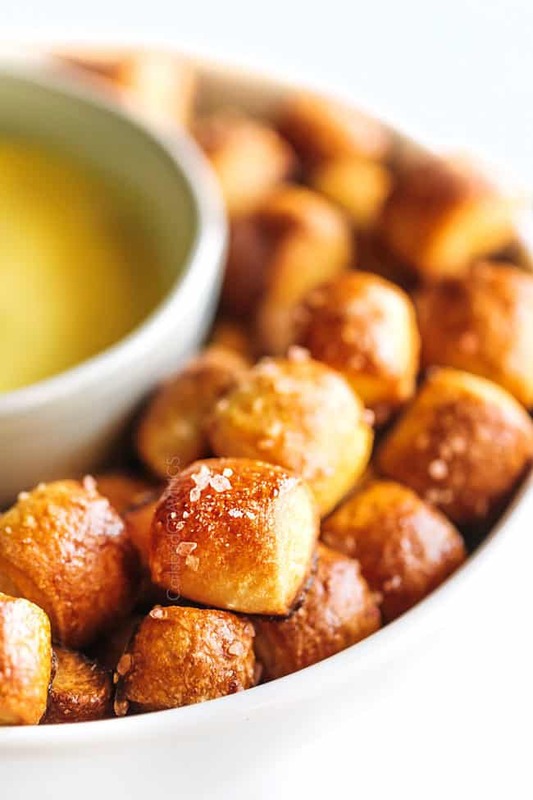 Pretzel Bites bathed in butter and showered in sea salt are a addicting on every level. 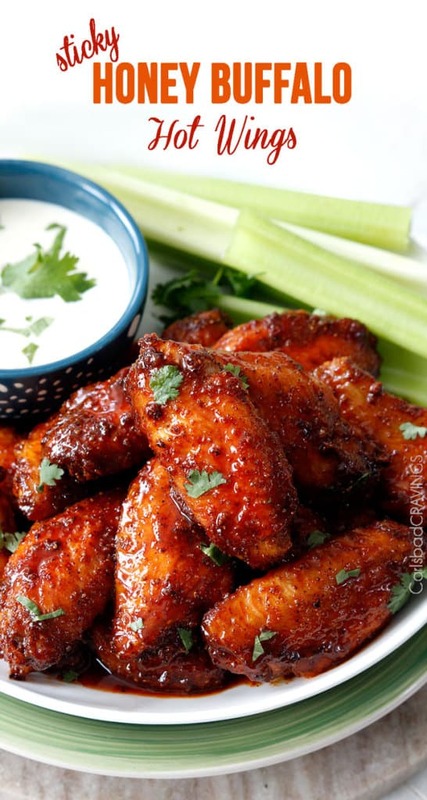 They make the perfect snack, appetizer, and Game Day food. They are soft, buttery, chewy, salty and everything a pretzel should be. 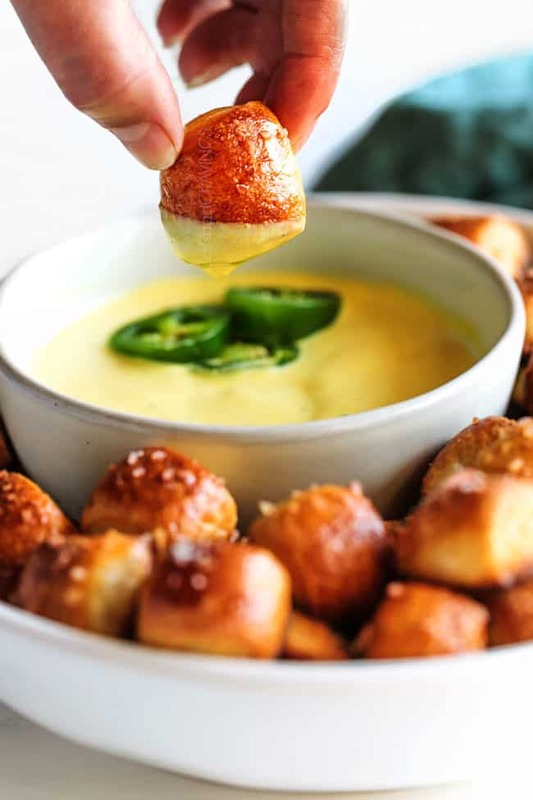 You can customize your homemade Pretzel Bites with different seasonings or just keep them simple and dunk them in my intoxicating Cheesy Jalapeno Ranch Dip. I’ve included How to Make Pretzel Bites, How to Reheat Pretzel Bites, How to Freeze Pretzel Bites and More! This homemade Pretzel Bites recipe is inspired by Alton Brown. Alton Brown is a culinary rockstar. Or more accurately, Alton Brown is a Food Network Star. His pretzel recipe is by far the best I have ever tasted in my entire life. They are seriously just as good or better than any mall pretzel you have ever sunk you teeth into. His 5 star pretzel rating with 514 reviews all tell the same story. 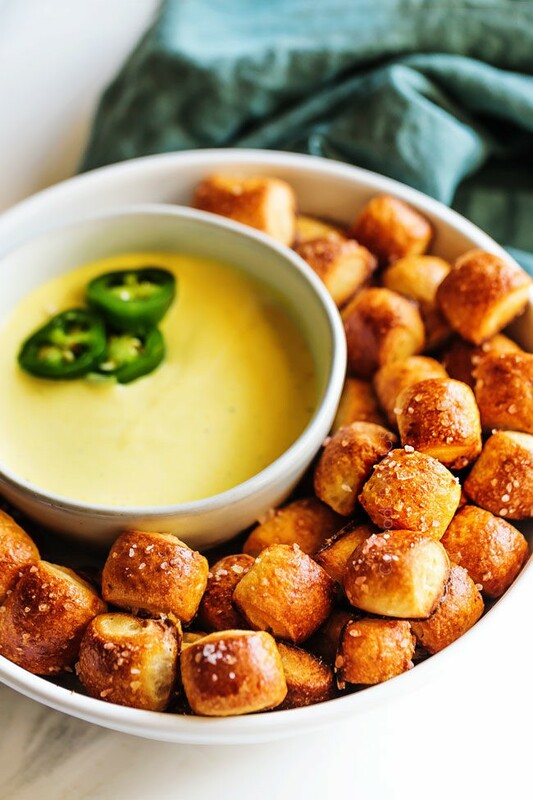 I didn’t want to mess with a great thing, so I added my equally great Cheesy Jalapeno Ranch Dip and turned his pretzels into the BEST Pretzel Bites Bites. And to be completely honest, turning the pretzels into bites wasn’t entirely intentional. After rolling my first 2 mounds of pretzel dough into 24 inch long sticks for what seemed like ages, I really had no desire to complete 6 more. So I scratched the pretzel idea, and decided to turn the dough into pretzel bites – which means half the length of the “sticks” which means half the rolling! My forearms squealed for joy! And I am sure your forearms would have too – if in fact, forearms could squeal. When I actually paused to think about it, I should have made Pretzel Bites instead of pretzels to start with – they are far superior to regular pretzels in so many ways! First and foremost, they have a greater ratio of exterior to interior than regular pretzels, which means more salted golden goodness – IN YOUR MOUTH! And they are super cute. And its more fun to eat anything that’s cute. And they are more fun to dip. And they are more fun to pop in your mouth….pretzel bite after pretzel bite after pretzel bite. And they have practically zero calories because everything bite size that you can lose track of how many you have eaten has no calories. 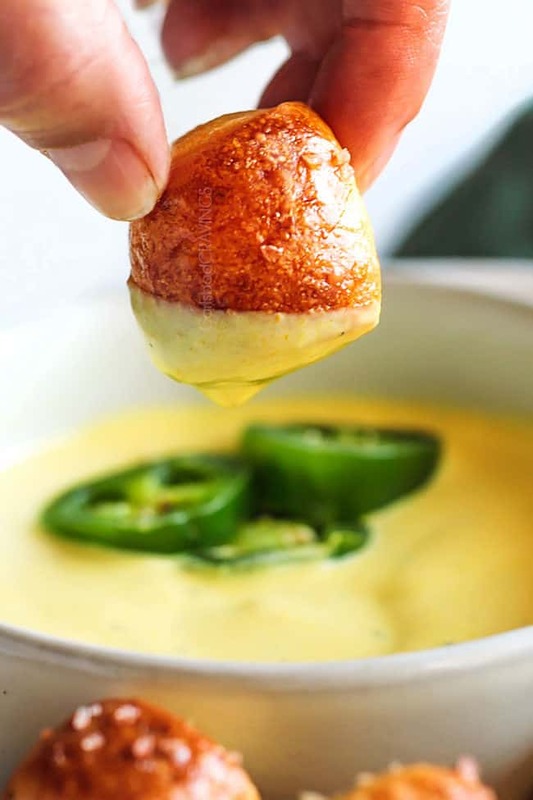 Which is super convenient because then you can drown each pretzel bite in as much melty Cheesy Jalapeno Ranch Dip as your guiltless heart desires. And you are going to want to drown these bites because this dip is addicting – its saturated with cheese, jalapenos and ranch seasoning – its not called Cheesy Jalapeno Ranch Dip for nothing! HOW DO YOU MAKE PRETZEL BITES? Step 1 – Proof yeast: Add water, sugar and yeast in the bowl of a standard mixer. Let sit 5-10 minutes. The yeast should foam after waiting 5-10 minutes. If it doesn’t you need to star again. It means either your water was too cold, too hot (and killed the yeast) or your yeast is expired. Add salt, flour and butter. Step 2 – Mix dough: Using the dough hook attachment, mix dough on low speed until combined. Increase speed to medium and continue to knead until the dough is smooth and pulls away from the side of the bowl. At this point, continue to knead for 3 minutes. Step 3 – Let dough rise: Remove the dough from the bowl, clean the bowl if necessary, then spray the bowl with nonstick cooking spray. Return the dough to the bowl, cover with plastic wrap or a towel and let rise in a warm place for approximately 1 hour, or until the dough doubles in size. Step 4 – Prep: Preheat the oven to 450 degrees F. Line two baking sheets with parchment paper and lightly spray with nonstick spray or line with nonstick baking mats. Bring the 10 cups of water and the baking soda to a rolling boil in an 8-quart saucepan or small roasting pan. Step 5 – Cut dough: In the meantime, place the dough on a flat surface and divide the dough into 8 equal pieces. Roll out each piece of dough into a 14-inch long rope. Using a pizza cutter or very sharp knife, cut the dough into one inches pieces. Step 6 – Boil pretzel bites: Boil the pretzel bites in the baking soda water in batches of about 20 pretzel bites for 30 seconds per batch. 30 seconds goes by very quickly! You might want to set a timer as leaving the pretzels in to long can result in a slightly bitter aftertaste. Step 7 – Egg wash: Remove pretzels with a large slotted spoon and place on prepared baking sheets, making sure they are not touching. Brush the tops with the egg wash and lightly season with sea salt. Step 8 – Bake: Bake for 8-10 minutes or until golden brown. Step 9 – Cool: Transfer bites to a cooling rack and let rest 5 minutes before eating. Serve with cheese sauce. What should I do if my dough is too sticky? Your pretzel dough should be tacky but not overly sticky. If it is sticky to the point it is sticking to your fingers, then knead a little longer or knead a little more flour into the dough. Can I make pretzel bites without a stand mixer? Absolutely! If you don’t have a mixer, you can mix with a wire whisk, then a wooden spoon then knead by hand, it will just take a little more elbow grease and a few more minutes. Why do I have to Boil the pretzels first? 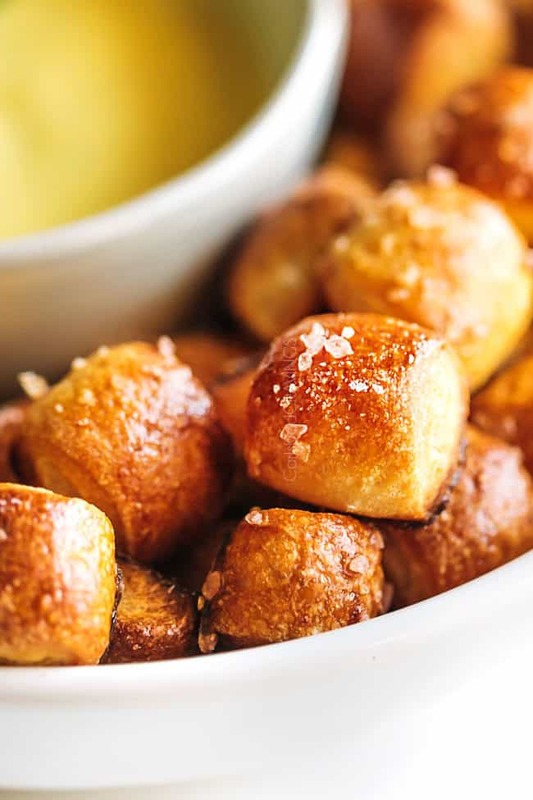 We boil the pretzel dough bites in baking soda water for 30 seconds a batch. You will see the dough “puff” with this quick immersion but will remain pale. 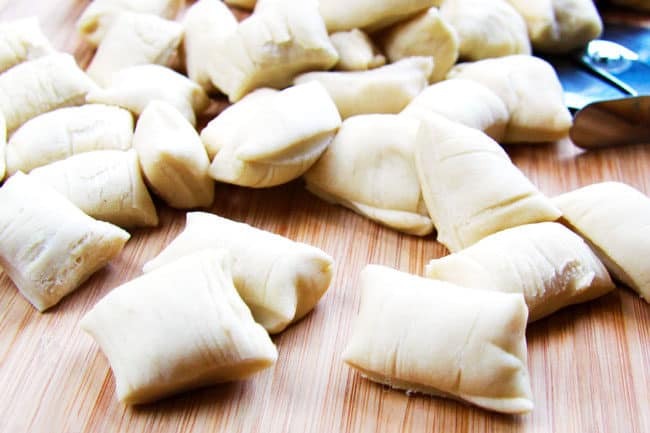 This extra step might seem like a hassle for just 30 seconds, but trust me, this step is what turns these dough bites into PRETZEL dough bites with their characteristic golden exterior – see below. Do I have to use baking soda when making pretzels? Yes! The baking soda increases the PH alkalinity on the outside of the pretzel. This allows the exterior of the pretzel bites to brown more easily when baked so you can achieve a golden, crispy exterior crust while maintaining a nice chewy, soft interior. So please don’t be tempted to skip this step or you will be skipping out on the texture, flavor and appearance of what makes a pretzel a pretzel! What Seasonings Go with Pretzel Bites? Pretzel Bites are fabulous just with salt, but feel free to mix it up! 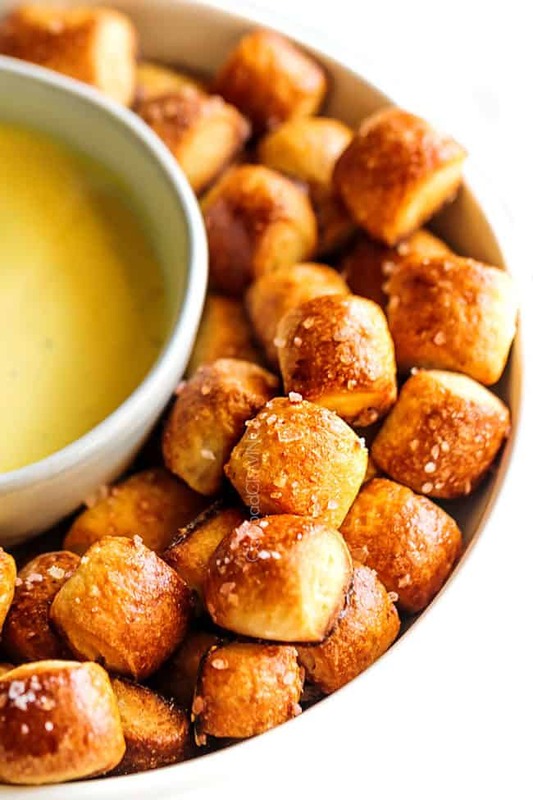 Pretzel Bites are a blank canvas for any seasoning such as cinnamon and sugar ranch, Cajun, garlic, Parmesan, chipotle, etc. You will want to omit the salt if making Cinnamon and Sugar Pretzel Bites or omit it if using a seasoning that is already salty like ranch seasonings. WHAT DIPS GO WITH PRETZELS? How do you warm up pretzel bites? 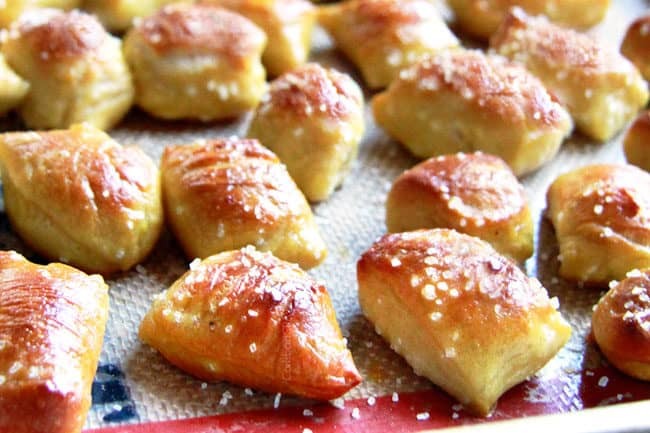 Place pretzel bites in an even layer on a baking sheet. Bake in a preheated oven for 3-5 minutes or until heated through. For added yum, brush with melted butter. How long do soft pretzels last? Soft Pretzels are best eaten the same day and even better when still slightly warm. If you do have leftovers, then you can store them at room temperature for up to 5 days. Can you freeze pretzel bites? Let pretzel bites cool completely. Place them on a baking sheet so they are not touching and freeze until solid, about 1 hour (this flash freezing prevents them from sticking to each other). Place in a large freezer bag or smaller plastic bags for individual servings. When ready to eat, preheat oven to 300 degrees. Place on a baking sheet and bake from frozen for 10-15 minutes or until warmed through. Alternatively, you can microwave pretzel bites but they tend to get a little soggy. Can pretzel dough be refrigerated? Yes! You can refrigerate your prepared pretzel dough for up to one day. You can shape the pretzel bites while the dough is cold but allow the pretzel bites to rise some more before adding to the baking soda bath. Can pretzel dough be frozen? Yes! Freeze dough in an airtight container for up to three months. Thaw dough overnight in the refrigerator before using. 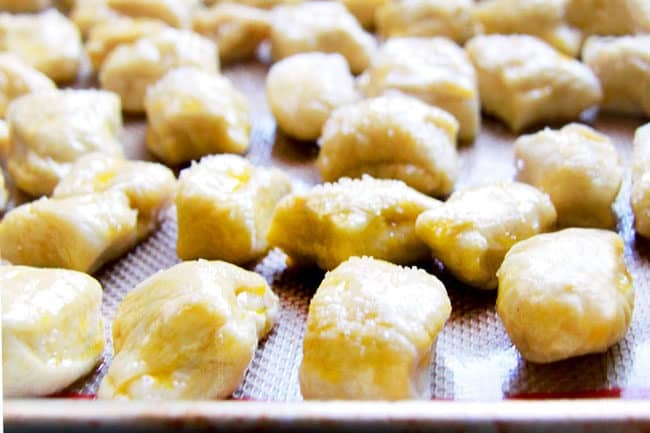 Just like cold refrigerated dough above, you will want to let the bites puff some more before adding to the baking soda bath. 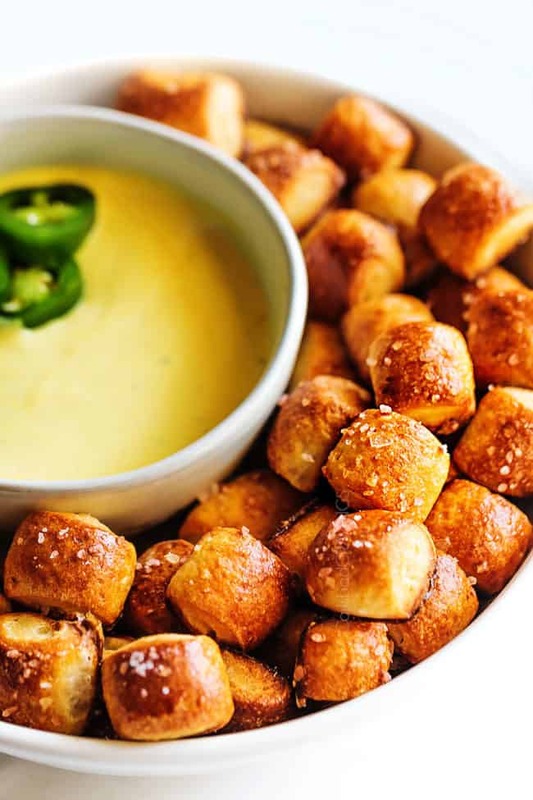 WANT TO TRY THIS PRETZEL BITES RECIPE? PIN IT TO YOUR APPETIZER, PARTY or GAME DAY BOARD TO SAVE FOR LATER! Combine the water, sugar and yeast in the bowl of a standard mixer. Let sit 5 minutes. Add salt, flour and butter and mix (using the dough hook attachment) on low speed until combined. Increase speed to medium and continue to knead until the dough is smooth and pulls away from the side of the bowl. At this point, continue to knead for 3 minutes. Remove the dough from the bowl, clean the bowl if necessary, then spray the bowl with nonstick cooking spray. Return the dough to the bowl, cover with plastic wrap or a towel and let rise in a warm place for approximately 1 hour, or until the dough doubles in size. Preheat the oven to 450 degrees F. Line two baking sheets with parchment paper and lightly spray with nonstick spray or line with nonstick baking mats. Bring the 10 cups of water and the baking soda to a rolling boil in an 8-quart saucepan or small roasting pan. In the meantime, place the dough on a flat surface and divide the dough into 8 equal pieces. Roll out each piece of dough into a 14 inch long rope. Using a pizza cutter or very sharp knife, cut the dough into one inches pieces. Boil the pretzel bites in the baking soda water in batches of about 20 pretzel bites for 30 seconds per batch*. Remove pretzels with a large slotted spoon and place on prepared baking sheets, making sure they are not touching. Brush the tops with the egg wash and lightly season with sea salt. Bake for 8-10 minutes or until golden brown. Transfer bites to a cooling rack and let rest 5 minutes before eating. 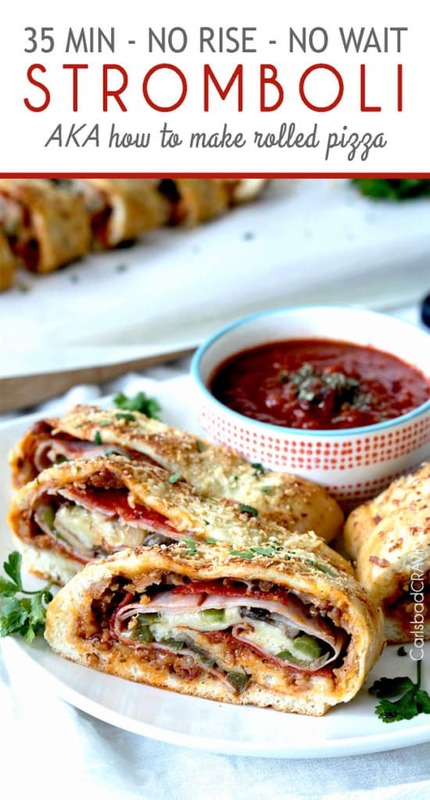 Serve with cheese sauce. While pretzels are resting, prepare cheese sauce by melting butter over medium heat in a small saucepan. Add jalapeno (without any seeds), and sauté for 3-4 minutes, or until softened. Whisk in the flour and garlic and cook 2 minutes, stirring constantly. Slowly whisk in the milk then bring to a boil. Lower heat and simmer until slightly thickened, whisking constantly. Reduce heat to low then stir in cream cheese until melted, followed by cheddar cheese, stirring until completely melted. Stir in ranch seasoning. At this point, taste and add desired amount of jalapeno seeds for heat and 1/8 or more pepper to taste. (I don't add salt because the pretzels are salty) If you prefer your cheese sauce a little thinner, then add milk to reach desired consistency. 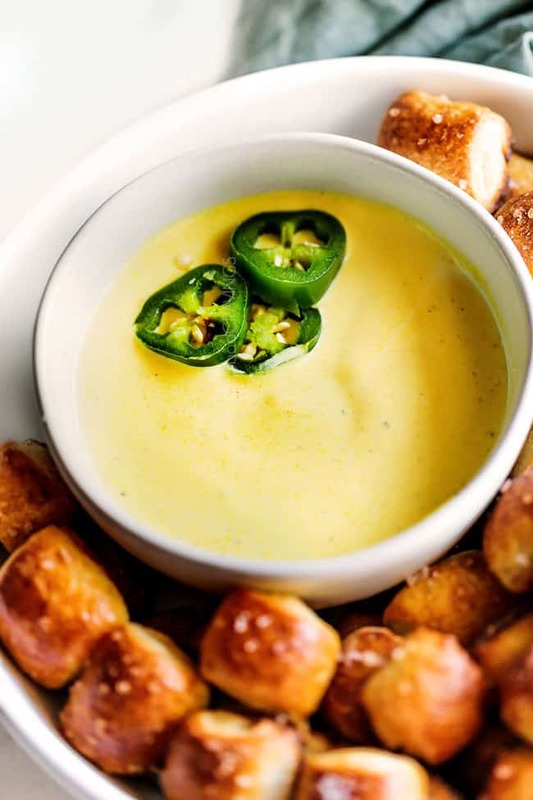 Dip pretzels in Cheesy Jalapeno Ranch Sauce and enjoy! *30 seconds goes by very quickly! You might want to set a timer as leaving the pretzels in to long can result in a slightly bitter aftertaste. These were the biggest hit of my party! the cheese sauce is spectacular and can work with a number of things, Thank you, this is amazing! YAY! I am so happy they were such a big hit and you are so right about the cheese sauce – it is addicting stuff! Thanks Sarah for making my day!!! Are these still just as delicious the next day? couod they be made the day before to take to a party? I can’t wait to make them!! Hi Brittany, as with most things they are best fresh, but that being said, they are still delicious the next day! I would make sure to store them in an airtight container then microwave them for 15 seconds or so (to help soften them) and they will be great. Enjoy! Hi, can you substitute for the dry ranch seasoning? Hi Kim, you could add prepared ranch to taste – not sure how much it would be but should work just fine. Enjoy! These look amazing!! What brand, assuming it is coarse, sea salt do you prefer to top these little nuggets? Hi Michelle! I am not a sea salt connoisseur, so I use Mortons and I think it works great. Hope that helps!